Database Systems Corp. (DSC) is a recognized leader in providing automated phone services and complete, turnkey phone applications and systems. DSC phone answering systems and services include our IVR (interactive voice response) technology. 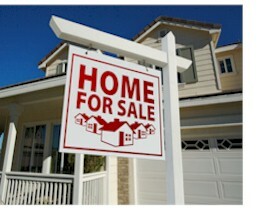 These solutions provide timely information about your real estate listings to callers 24 hours a day. By listing a single 800 number and a property identification number, real estate agents can now provide prospective buyers with up to date information regarding their property listings. Using our business answering services, agents can update their listing information by recording over the phone the latest information about a property. Callers can use touchtone keys on their phone to obtain the information they require about a property. To be contacted by a realtor, the caller simply presses the appropriate key and leaves a recorded message for a realtor. Likewise, the caller can request to talk immediately with a real estate agent. Our real estate phone service can route the call to any different phone numbers based upon time of day or other rules required by each indivual realtor. Contact DSC to learn more about our real estate phone services. To view other applications related to the real estate industry, please visit our real estate marketing webpage. Visit our Phone Applications web page to view our other phone services. Cyberitas utilizes our IVR call center to process incoming phone calls from real estate agents who wish to update their inventory of home listings. These agents record updated information about specific listings and our center saves these voice recordings and transmits them to the Cyberitas data servers for integration with their real estate product.